StemCareer is a resource for counselors, educators, and students that has a wealth of resources to learn about and pursue careers in stem. You can find training, education, scholarships, and career information that can help your clients pursue some of the fastest growing careers. Go to stemcareer.com to see all of the available resources. My Skills My Future is part of the America’s One Stop website from the U.S. Department of Labor. Go to myskillsmyfuture.org and you can type in job title into this system and it will give you related occupations to explore through the ONET system. I have found this site helpful working with people that have been laid off or downsized after many years on the job. ONET Academy is a great resource for career, workforce development, educator, and economic development professionals. It has videos, podcasts, classes, and much more information on how best to implement ONET’s resources for our clients. Click on the link above to discover all of the resources. 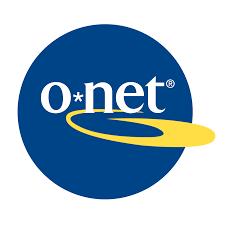 Karen McGrady adds: “I use O*NET regularly with my high school students. The website is user friendly, and the O*NET Academy is great background. Featured Resource of the Month: Free Articles from Elisabeth Sanders-Park WorkNet Solutions website. Elisabeth is the NCDA Practitioner of the Year, and will present at the Fall Workshop! common majors those companies hire. This unique tool providesinformation currently not provided by any other resource, including the address of the company, the number of employees, the type, the industry, contact information, links to the organization website, nearby resources, and more. Although this site is not a job board, it provides a wealth of useful information for job seekers to uncover unlisted job potential. Career service professionals can utilize this tool with clients to sort through 18 million U.S. businesses and save favorites to develop targeted prospective employer lists. Small businesses can also use this resource to analyze markets and create prospect lists. I have been using Buzzfile for the past few years with my students and they have been thrilled with the number of options they have discovered. This resource encourages job seekers to think outside of the box and apply more creative approaches to their job searching strategies. I recommend checking it out. On Friday, April 29th I participated in two great workshops presented by Sabrina Woods to our MCDA group. She shared a website that she often uses for herself or for her clients to get to a more calm state. It is www.calm.com. It provides quiet scenic scenes when you are in need of some calming influences. Check it out for yourself and for the people you work with. The federal government has created a website called HR University. This website contains videos and written material on how to apply for federal jobs. There is an incredible amount of material here that will be very helpful to us as practitioners and to our clients who are trying to put their best foot forward in a very difficult process. Click here to access the many resources. Goodcall.com is a free resource to all that focuses on helping people find scholarships for college. It also contains news articles about the education landscape and policy development. In addition, it has articles and research on career fields and demographic trends. After my brief look at this resource, I intend to take a more in depth look at Goodcall.com. I was just reading this post and thought this could be a nice featured resource. I have used Twitter for a while but have gotten more serious about it over the summer and I can verify that a number of these accounts are VERY helpful. Click here for this article on the 40 best Twitter accounts that focus on the job search process. Submitted by Karen McGrady, MCDA Board Committee member and Career Pathways teacher at Nokomis High School. A terrific resource to feature is our upcoming conference!! In his book Luck is No Accident renowned career theorist and “Living Legend in Counseling” John Krumboltz quotes Garrison Keillor, “Some luck lies in not getting what you thought you wanted but getting what you have, which once you have got it you may be smart enough to see that it is what you would have wanted had you known.” Now say that again, nice and slowly, just like Garrison would on his radio show! Doesn’t that make perfect sense? One of the most important skills we can teach our students is how to be ready and able to adapt positively to life changes we can’t control. I am so excited to have the chance to see Dr. Krumboltz in-person at the MCDA conference on June 19th at Colby College. If you haven’t yet signed up, do it now. There’s a link from our home page! For me, I didn’t need to be told or convinced that those who give in this world end up more successful than those who take or seek to be paid back for everything they do. Grant splits up the world into three types of people: givers, takers, and matchers. Givers are those people who generally give freely of themselves to others without expectation of getting anything in return, takers are those who generally seek things from others, and matchers are people who live by the principle of reciprocity – you scratch my back, and I’ll scratch yours. Perhaps what was most enlightening for me with this book was not the idea that givers are more likely to experience success, but how that happens. Grant does this through telling the stories of givers, takers, and matchers and citing research relevant to these ideas. Adam Grant is a wonderful, accessible, and smart writer, and is a leading organizational psychologist at the Wharton Business School. Authority: staying focused on the process. It’s all about leadership. Collegiality: working together towards a common goal. It’s all about the relationship(s). Empathy: looking from the client’s point of view. It’s all about trust. Education: understanding what is happening and why. It’s all about the story. Bob uses this model with his clients and conducts workshops on his four domain approach to communication. As career helpers, our clients come to us for our expertise. The best way to establish our authority and avoid the need to overtly exercise it is to communicate proactively with the client. That means staying connected even when there isn’t anything critical to be communicated. Maintaining the relationship requires staying in touch; asking open-ended questions so you can anticipate problems, demonstrate your commitment, and lead—not just when a problem arises. As career helpers we are charged with leading the process. We must, however, also collaborate, which requires us to be open and transparent as we work together. Listening carefully and incorporating their ideas (when appropriate) can strengthen the outcome. It’s important to articulate and reinforce shared purpose with our clients by continually taking stock of what’s needed in the relationship: Is this a time to emphasize the collegial nature of our relationship or the authority? Both are important and not necessarily exclusive of one another. It’s a matter of proportion depending on the circumstances. This means you have to know the client well enough to make this judgment call. Job seekers are under pressure. They have responsibilities and forces at play that we can’t always be privy to, but we must make sure they know we do truly care. It can be complex to demonstrate caring on a personal level, yet be accountable to future career decision making. In our client relationships, teaching means articulating a process, continually reinforcing strategy, and remembering to tell and re-tell the story. Avoid losing track of the bigger picture: Why are we doing what we are doing right now at this time? Why is it important? How did we get here? What is guiding us and why? Keteyian suggests using the diagram [below] for self-reflection and as a reality check both when you’re stuck and proactively to make sure you’re clear in your roles and not overemphasizing one area at the expense of another. Keteyian is the author of Do You Know What I Mean, Tools for Building Successful Relationships, available on Amazon. He recently published an article in Fast Company, The 4 Essential Elements to Getting Your Point Across. He can be reached at [email protected] and through his web site, www.robertketeyian.com. MCDA Board member Leigh Mundhenk, PhD reviews a resource to use with students and clients. I have recently been introduced to StrengthsQuest, developed from work done by Gallup 30 years ago, and am very impressed with its potential in guiding students in major/career selection. After doing a 30 minute assessment, students determine their top five (out of 34) themes. Identifying these themes can help students discover talents that they can build on to achieve academic and career success. The assessment is done online. Users receive an access code once they have purchased either the online ($10) or print version of the book ($20), &StrengthsQuest: Discover and Develop Your Strengths in Academics, Career, and Beyond.& What makes this assessment different from others that we use in career development is its focus on identifying strengths (versus skills, values, and interests). I took the assessment myself, and found it very helpful. As we embark on the month of December I’m reminded of how this is such a busy time of year. There is so much extra on my personal to-do list, but at the same time I want to be ever-present for my clients’ needs, who may find this season particularly stressful. If you’re like me, you are probably trying to find the balance between what is expected of you, with all that you want to do. And somewhere, in each day, we also need to take care of ourselves. In that spirit, this month’s Southern Maine career cafe discussion is dedicated to Work/Life balance — for both ourselves and our clients. If you can’t be there on Thursday because, “hey, life’s just so busy right now,” we understand! Perhaps this article by Nora Frederickson, will help. In her guest blog on Sharon Teitelbaum’s website (http://www.stcoach.com/) she explores an alternative strategy to re-working the schedule. Instead of trying to find the ever-elusive “more time“, she suggests applying the technique of mindfulness. I found this particularly helpful; I hope you do too. blog (http://www.stcoach.com/blog/). For those career development professionals who work with clients to prepare for job interviews, and may even engage in mock interviewing, finding appropriate questions for a specific industry or position may occasionally prove a challenge. Ready Prep Interview (http://www.readyprepinterview.com) could be a good resource to start! The website caters to job-seekers and employers by providing a searchable database of potential interview questions for specific positions. For example, a job-seeker could navigate to the website, search for “teacher,” and be treated to an exhaustive list of job titles from “preschool teacher” to “director of teacher education.” The job-seeker then clicks on the job title that most closely matches their interests and then may choose the 10, 20, or 30 top interview questions associated with that occupation. The job-seeker can easily print the questions for individual study. As a college career professional, I have used this resource as a foundation for mock interview questions, supplementing them with my own questions based on the specific position and researched information about the organization. The website also offers short articles and readings about interviewing, and job-seekers and career professionals alike may find it a useful resource for interview preparation! We are using word cloud generators like Wordle.net or Worditout.com to help clients write their resumes towards job descriptions. If you go to one of these websites you can put an entire job description in and it will come out with a word cloud showing you the most prominent words in that description. These are free websites and you just provide the text and the word cloud is automatically generated. It is often the action verbs that are most prominent and this has been very effective in working with clients to help them focus their resumes. MCDA President Jim Peacock has reviewed a book you will want to read before attending the Fall Workshop, as the author is our workshop presenter! Check out the MCDA homepage for more details about the Fall Workshop, scheduled for Friday, November 7, 2014. I learned quite a bit about ATS, Applicant Tracking Systems, which will help me with advising students & clients who apply to any of the larger company using ATS. I knew keywords were important but with a company using an ATS system it is critical. One tip he gave was brilliant to find keywords (I wish I had thought of it). Copy and past the mission statement from a company and / or the job description you are applying to into a Word Cloud like wordle.netor tagword.com to visibly SEE the keywords the company uses. Then incorporate them into your resume, cover letter, LinkedIn profile, and interview. Featured Resource: AAUW (American Association of University Women) www.AAUW.org, submitted by Diane Anderson, MCDA Board member and Assistant Director o Career Services at Thomas College. The AAUW’s primary mission is to empower and advocate for women facing issues such as pay equity and workplace discrimination. AAUW promotes leadership development and STEM careers for young women through several programs. They partner with the Wage Project (www.wageproject.org) to offer the $tart $mart program on salary and benefits negotiation, which is held at several college campuses around the state. While the focus of many of the resources is related to women, some of the tools they provide (such as how to benchmark a salary range for a job or advice for a first time supervisor or mentor) apply to both men and women. Issues: Find articles about a wide variety of topics under headings of Campus; Career & Workplace; and Education. What We Do: Includes Research, STEM Education, Educational Funding & Awards, and more! About AAUW:Includes the Jobs section, where the AAUW paid internships are listed, links to College/University job boards, and New Scientist jobs (STEM). If anyone is interested in joining this group, there are several active local branches in Maine. Contact information is available on the AAUW website. Rob Klaiber from Kaplan University recently hosted a Career Cafe where attendees explored the Movenote web app. Rob’s summary of the meeting appears below. Intrigued, I looked at the site and saw an immediate application for my high school students nervous about presenting in front of peers. Love it!! At the most recent Career Cafe in the Androscoggin County area, we focused on an application called Movenote. This application allows for video messaging to be coupled with document presentations. We covered the basics of this application and explored new best practices. We determined that this application would help with the challenges of remote counseling. Resume critiques can be shared verbally through the video messaging and the highlighter function allows for specific areas to be addressed. We all believe that this technology can be very useful in order to distribute information in a new and meaningful way, though it does take some getting used to. Featured Resource for April MCDA Board President Jim Peacock’s April PEAK Careers Newsletter features favorite career websites he gathered from his LinkedIn network, current Career Development Facilitator (CDF) class, current online seminar on Working with Boomers, and some of his personal favorite career websites to bring you websites you may want to bookmark. He was gracious enough to share this for our monthly Featured Resource. Enjoy!